The holy man Lakshmanjoo, whom she had visited on her last trip to Srinagar, recalled: ‘Death was very close to her.’ When he asked her to inaugurate a building, she had replied, ‘I will come if I am alive.’ After her death, a monk at the Ramakrishna Mission at the Belur Math recalled that Indira Gandhi had written him a similar letter about impending death that October. Death’s grasping hands seemed to be closing in, even if the body remained vigorous. The will was ebbing, flowing searchingly towards the unknown. The 31st dawned cool and sunlit. She had a packed day ahead. In the morning a TV crew led by actor, columnist and broadcaster Peter Ustinov waited to film an interview. In the afternoon she had a meeting with former British prime minister James Callaghan and then a formal dinner with Princess Anne. Out of the door she came, past the hedgerows, the lily pond and gardens, towards the wicket gate leading to her Akbar Road office. She took this path every day. As she approached the wicket gate, Sub-Inspector Beant Singh loomed into view. Beant Singh had been a member of her bodyguard for nine years and had even been abroad with her, most recently to London. After Operation Blue Star, when he had been taken off her staff because he was a Sikh, she had made sure he was brought back. She greeted him as she always did: namaste. In response Beant Singh raised his revolver. And aimed it at her. Indira Gandhi, pragmatic, commonsensical. Not given to flights of fancy. What on earth is Beant Singh doing, she must have thought, on a day when the golden sunlight had driven away all thoughts of death, when a busy day waited to be organized down to the last detail? A split second’s silence hung in the air. Then he fired. Five shots came at her at point-blank range. Across the lawn from Beant, the young constable Satwant Singh, another Sikh, appeared. Twenty-two-year-old Satwant had just returned from long leave in Gurdaspur, breeding ground of Sikh radicalism. Rooted to the spot, Satwant hesitated nervously. Shoot! shouted Beant. Satwant fired twenty-fi ve bullets from his automatic Sten gun. A mini cyclone of bullets broke over Indira Gandhi, exploding in almost every part of her petite frame. Dhawan stood stock-still, unable to move. ‘I go mad when I think about that day,’ he recalls. ‘I try not to think about it. By the time Satwant began to fire, she was already on the ground.’ Dhawan rushed forward. Other security men began to run towards the bleeding heap that was Indira Gandhi. Beant Singh and Satwant Singh, unrepentant, dropped their guns. Beant said in Punjabi: ‘I have done what I had to do. Now you do what you have to do.’ Within minutes Beant and Satwant were overpowered by the Indo-Tibetan Border Police who were guarding Indira Gandhi’s house. Beant was shot dead that day itself in a scuffle with the guards. Satwant and another conspirator, Kehar Singh, were hanged more than four years later. 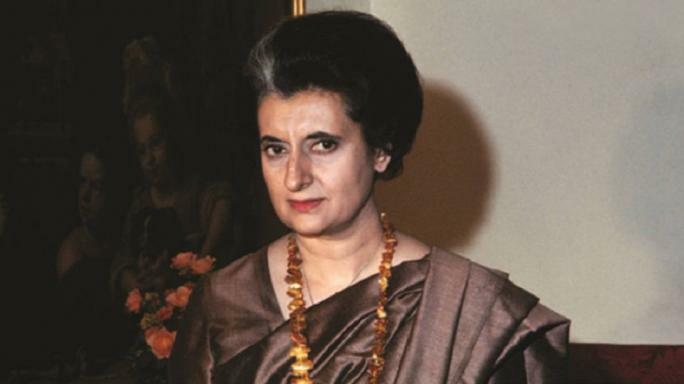 The Intelligence Bureau (IB) had been alive to the serious threats to Indira Gandhi’s life. R.N. Kao, the former head of the Research and Analysis Wing (R&AW), had been called in from retirement to be her security adviser, and had repeatedly sent out warnings about the presence of Sikhs in her bodyguard. Yet the shocking lack of vigilance in her own security was a reminder of the administrative degeneration that her feudal, personalized and centralized style of government had wrought. There were no proper security and intelligence procedures around her. The prime minister’s safety was treated with disgraceful and lackadaisical apathy; the fact that Beant Singh was able to appeal to her directly and get his transfer order from the IB chief rescinded showed how gutted administrative decision-making had become. In spite of the IB ruling that two armed Sikhs should never be together in her compound, Satwant had been able to flout this, simply by insisting that he had an upset stomach and needed to be within the residence’s premises. She herself seemed to have become uncaring about the lamentable lapses in her protection. ‘When they come to kill me, nothing will help,’ she had said with almost helpless fatalism. Sonia, Dhawan and another security man, Dinesh Bhatt, all got into the Ambassador, Sonia cradling her mother-in-law in the back seat as they made for the All India Institute of Medical Sciences (AIIMS). It was morning rush hour, traffic was heavy and they could only inch forward. When they arrived at the hospital, junior doctors on duty realized with a shock who the patient was and top surgeons and physicians assembled within minutes. Continuous blood transfusions were started, surgeons operated on her chest and abdomen, even making a public appeal for blood, which almost led to a stampede among the gathering crowd outside rushing to donate. At approximately twenty minutes past two that afternoon, Indira Gandhi, three weeks short of her sixty-seventh birthday, was declared dead. The BBC had already announced the news several hours earlier. According to constitutional norms when a prime minister dies in office, another has to be sworn in immediately, as the government ceases to exist. So All India Radio (AIR) was allowed to make the announcement only minutes before Rajiv Gandhi was sworn in as prime minister. ‘We regret to announce the death of the prime minister Mrs Indira Gandhi,’ came the tremulously formal voice on AIR. It took the son and heir a few hours to reach Delhi. Rajiv Gandhi rushed back from the election campaign in Bengal and President Zail Singh hastened home from Sana’a in Yemen so Rajiv could be hurriedly sworn in. Rajiv had heard the news on BBC Radio. ‘Did she deserve all these bullets?’ he had asked his companions in anguish. 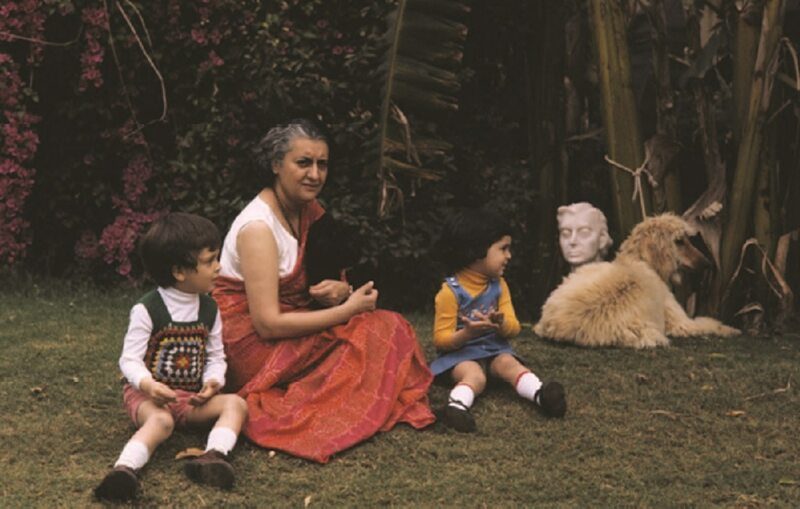 In her last years, Indira had made sure that only Rajiv could take her place. By now cabinet colleagues, chief ministers and party men had all been so severely cut to size that she, prime minister, Congress president and leader of the party in the Lok Sabha all rolled into one, had no second in command except her son. At 6.45 p.m. on 31 October, nine hours after his mother was assassinated, forty-year-old Rajiv Gandhi was sworn in as prime minister. Excerpted with permission from Indira: India's Most Powerful Prime Minister by Sagarika Ghose, published by Juggernaut Books. The book can be purchased here.